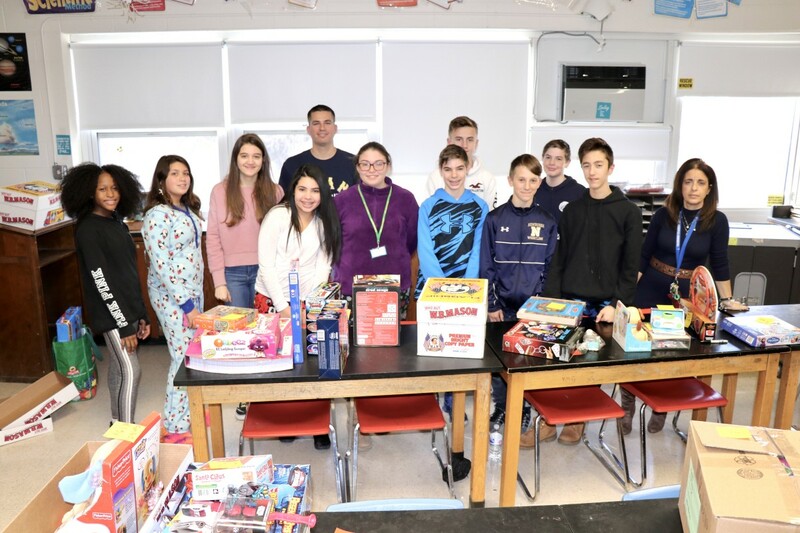 Mr. Maher and Ms. Cellai supported students as they organized a food, clothing, and toy drive. 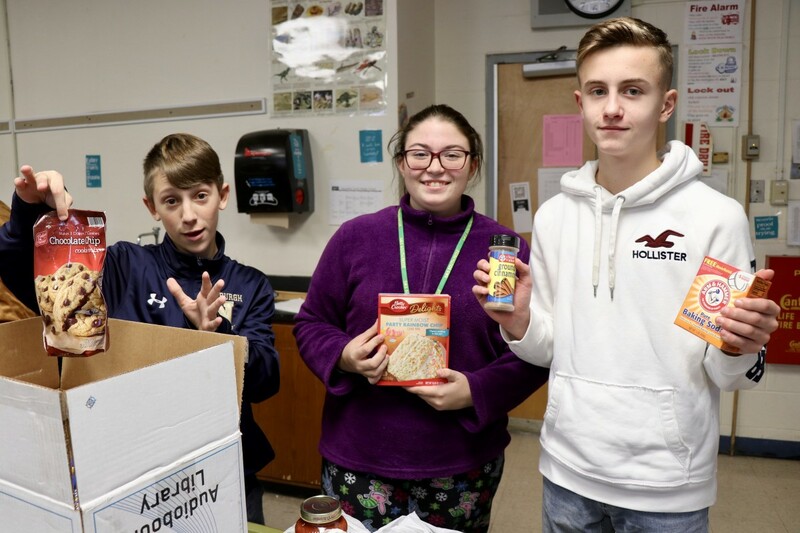 Student Government students collected the majority of the food throughout the school. 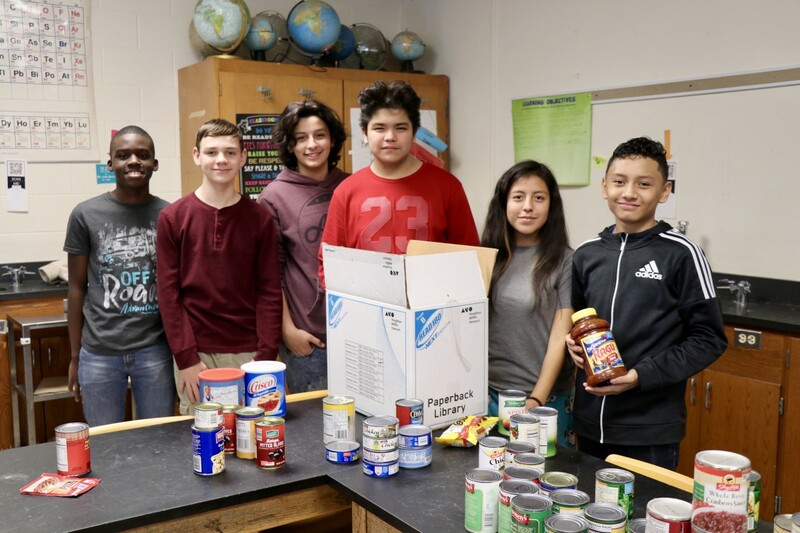 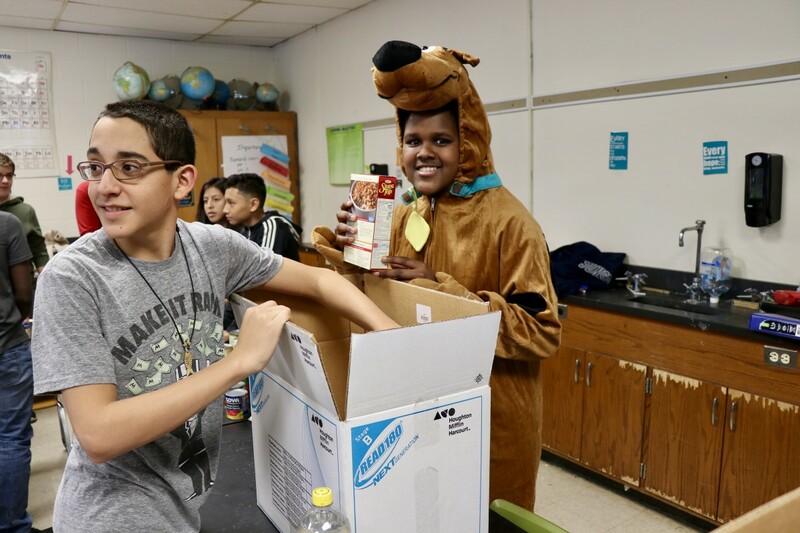 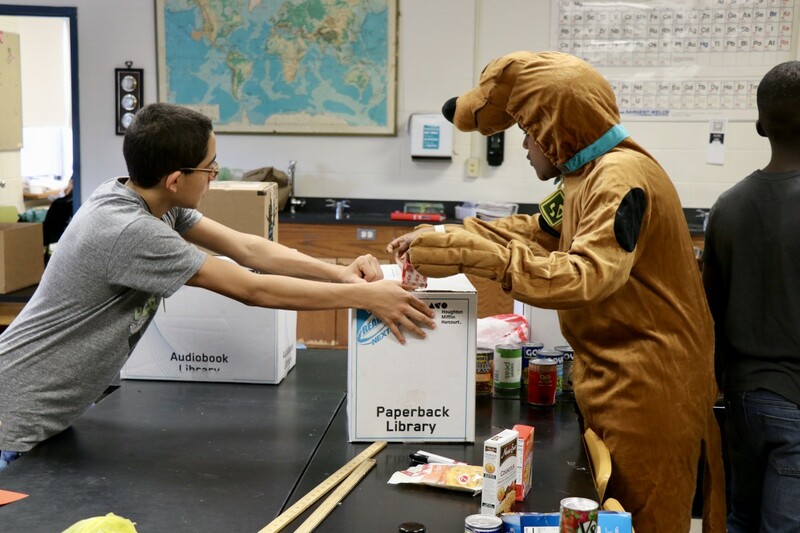 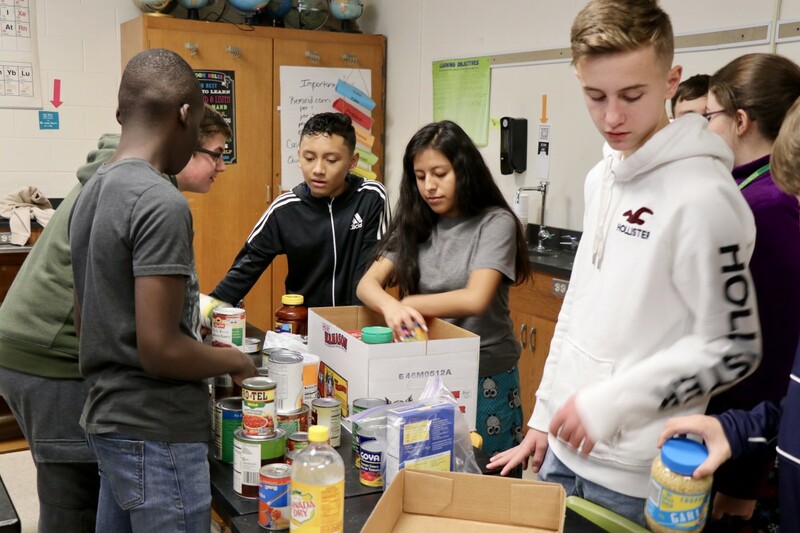 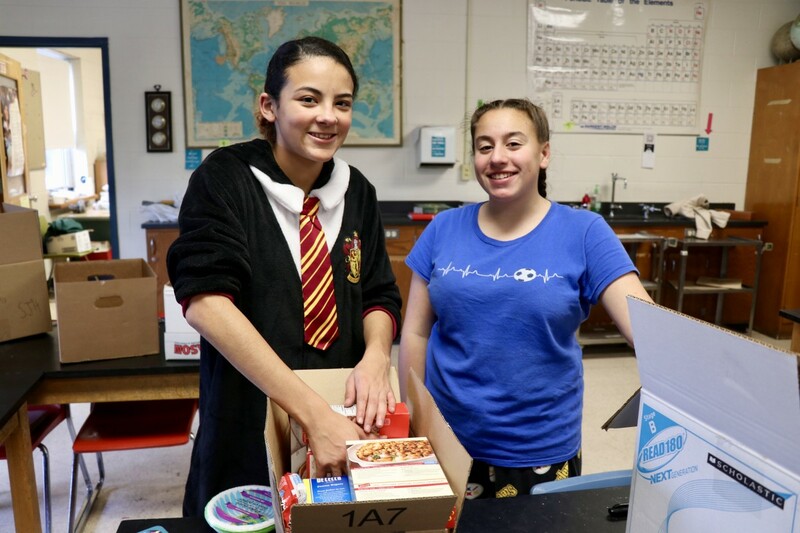 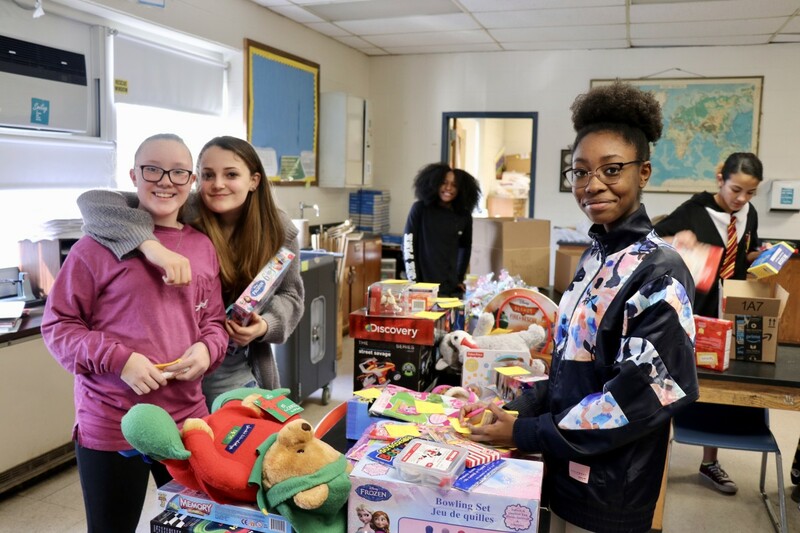 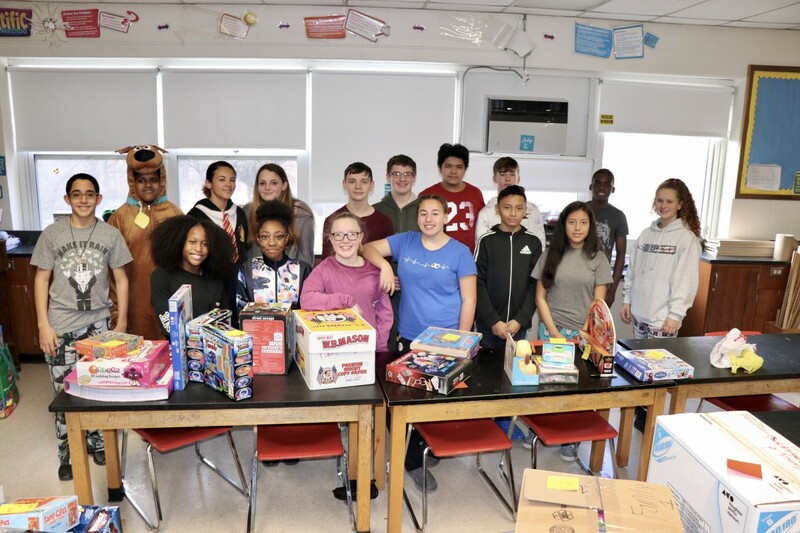 8th grader, Taylor Walters oversaw the organization of the toys, food and toiletries by Ms. Cellai’s honor students, packing and labeling each toy and box labeling them for four families from South Middle School. 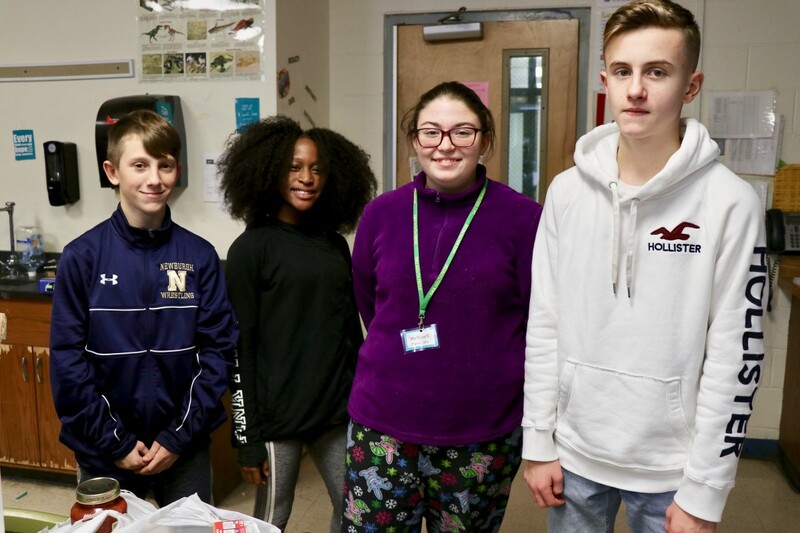 We fed four families complete meals with a special thank you to Sophia Marady’s mom for donating three turkeys to our cause. 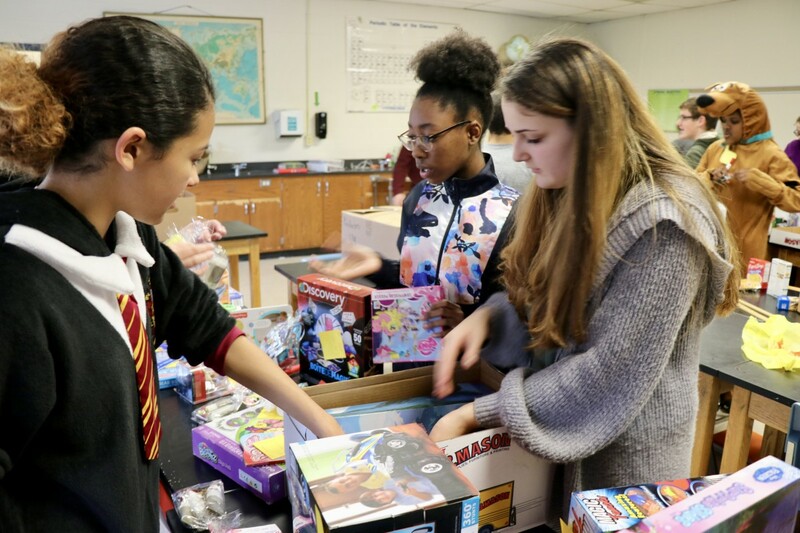 In addition we were able to collect several toys for each of the 13 children for Christmas.